The Texas Cave Conservancy is a non-profit, non-political Texas Corporation. We do not support confrontational conservation groups. We support common sense cave conservation. This works best through the voluntary co-operation between cavers and cave owners. The TCC supports the constitutional right of private property ownership. We support the position that the landowner owns the cave, all the contents within the cave and is the custodian of the cave life. 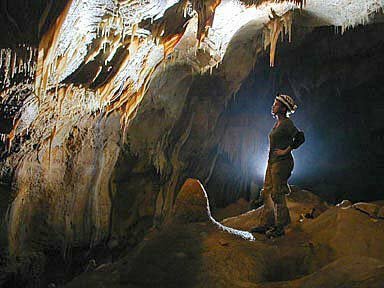 We oppose the removal, by cavers, of cave formations, historical artifact, archeological or paleontological remains, or biological resources without the prior written permission of the owner. We support the position that information obtained during a cave visit is of a proprietary nature; therefore landowner permission must be obtained prior to public use. It is our goal to work with the cave owner to protect caves, caves formation, and cave life. We support recreational cave use, not abuse, where appropriate.